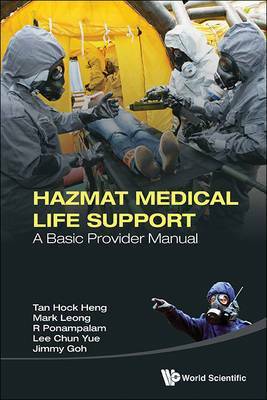 The Hazmat medical life support basic provider course book aims to equip medical responders to a hazmat incident - chemical, radiological or biological - with essential skills and knowledge to safely manage casualties. It includes basic information about hazmat agents and provides easy to remember algorithmic approaches for the on-scene management of a hazmat event. Essential information on setting up medical operations, triaging and approach to hazmat event, personal protective equipment, decontamination, wound management, life support as well as paediatric-specific issues are discussed in this book.